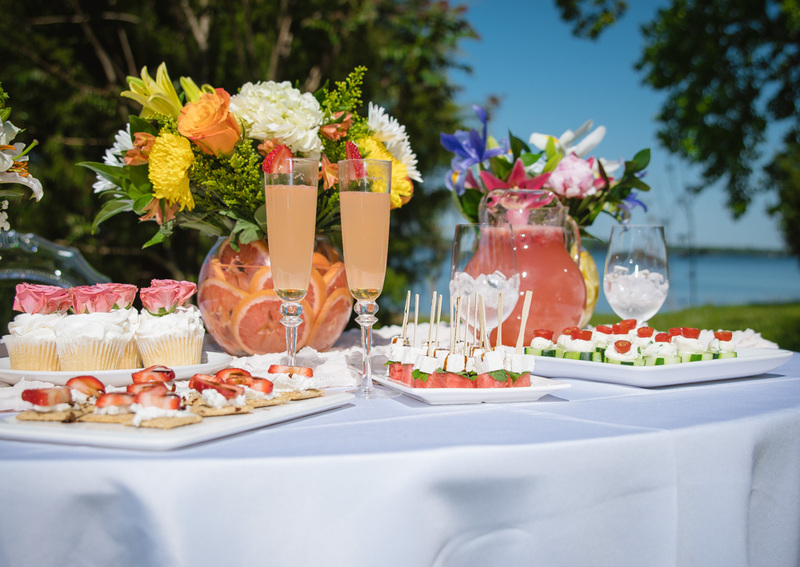 I’m so excited to kick off this series of blogs to help you plan your own special Mother’s Day Brunch. 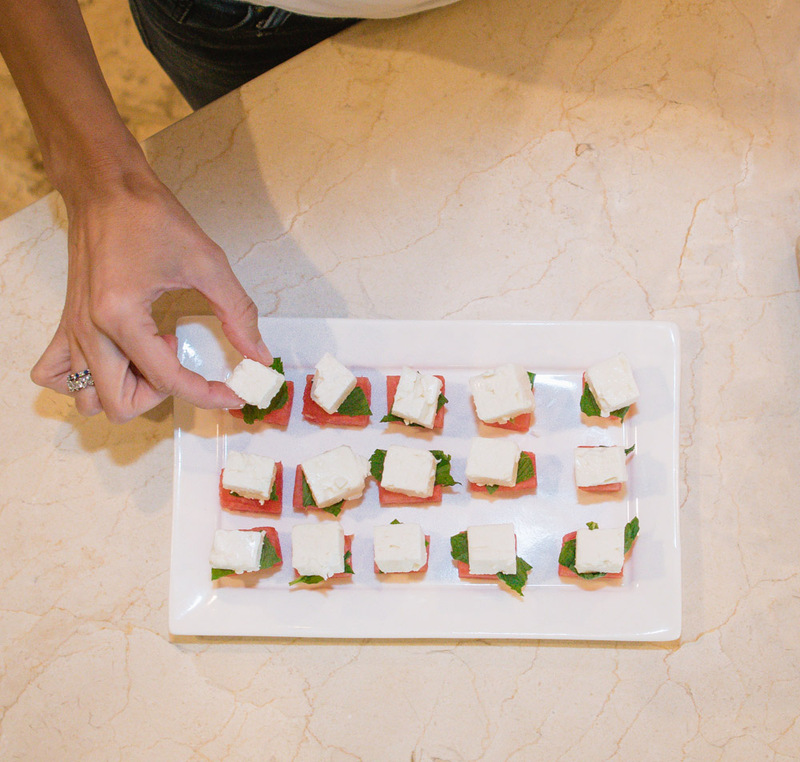 But really, these tips could go for any special gathering you are planning. All of these recipes and tips are easy and seriously take only minutes to make. 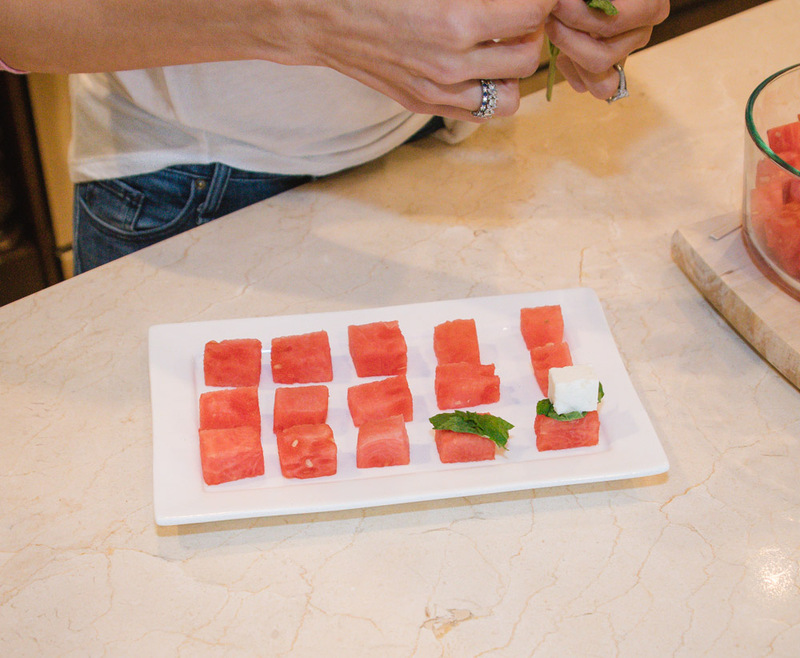 When I host get-togethers, I like to spend my time with my friends and family – not in the kitchen making everything! Today’s post is all about the food and drinks – yum! 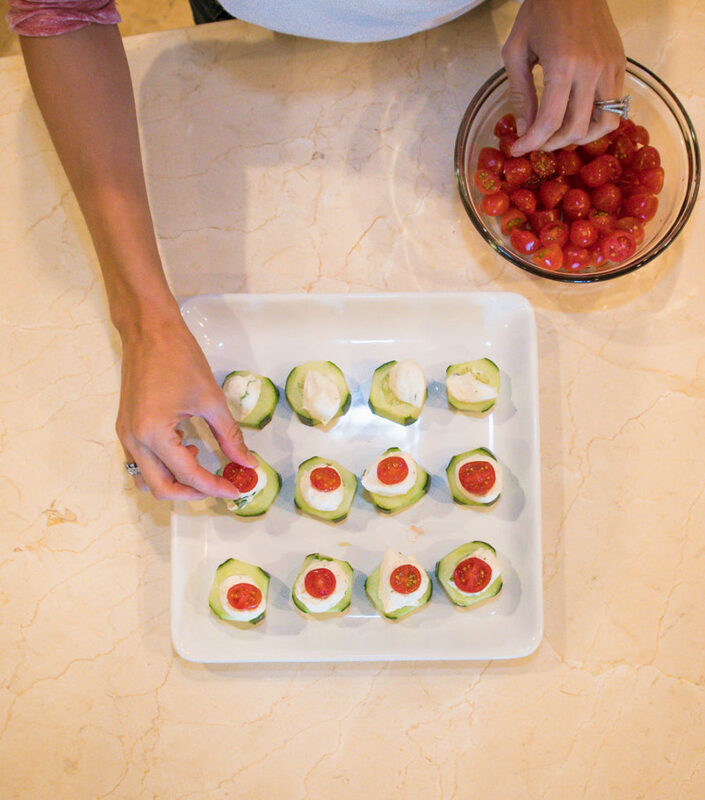 Like I said, these are super quick but oh-so tasty appetizers and drinks you can whip up in minutes. Keep scrolling for these recipes! I first found the recipe on Pinterest and pinned it right away! 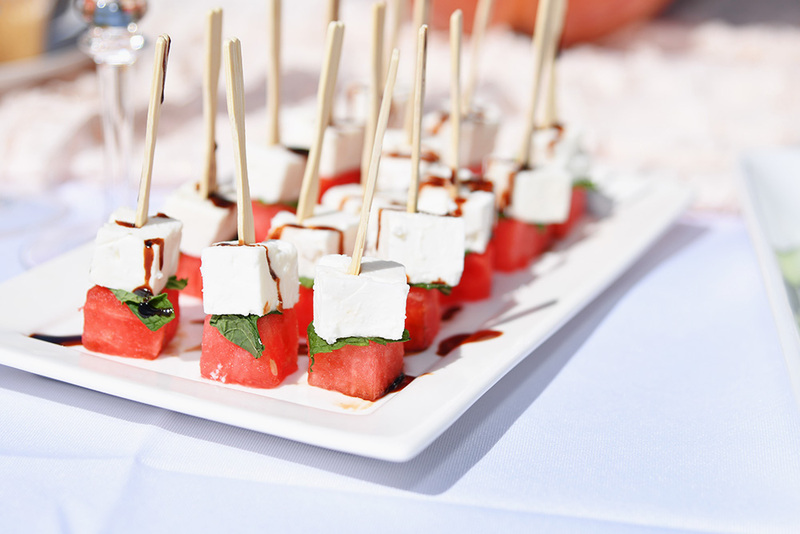 It’s light and fresh and the mix of the sweet watermelon and the salty Feta is so delish! I wanted to point out a few things I did to make this even easier! First, I bought the pre-cut watermelon from the produce section. That saves SO MUCH time in having to cut the whole watermelon. I also bought the Bertolli Balsamic Glaze instead of making my own balsamic reduction. Just keepin’ it real here! 1. 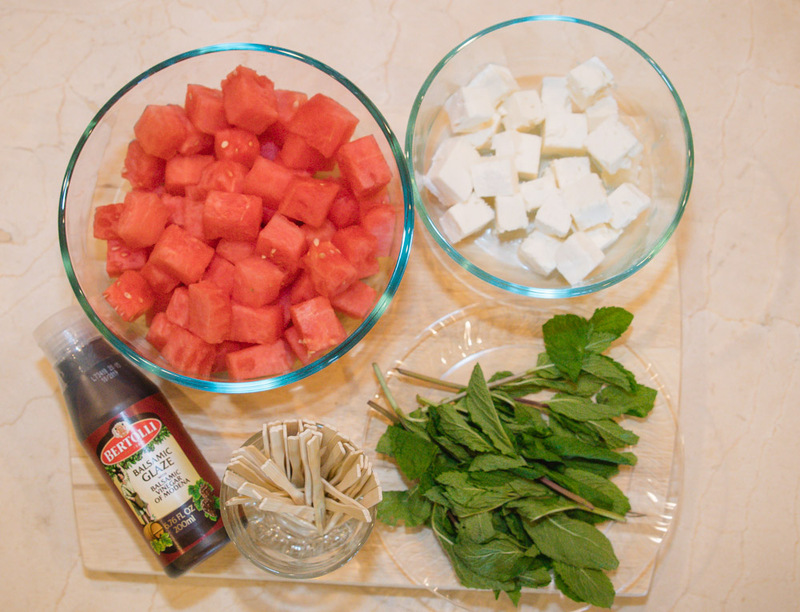 Cube the watermelon into bite-size squares. 2. Cube the block of feta into small squares. 3. 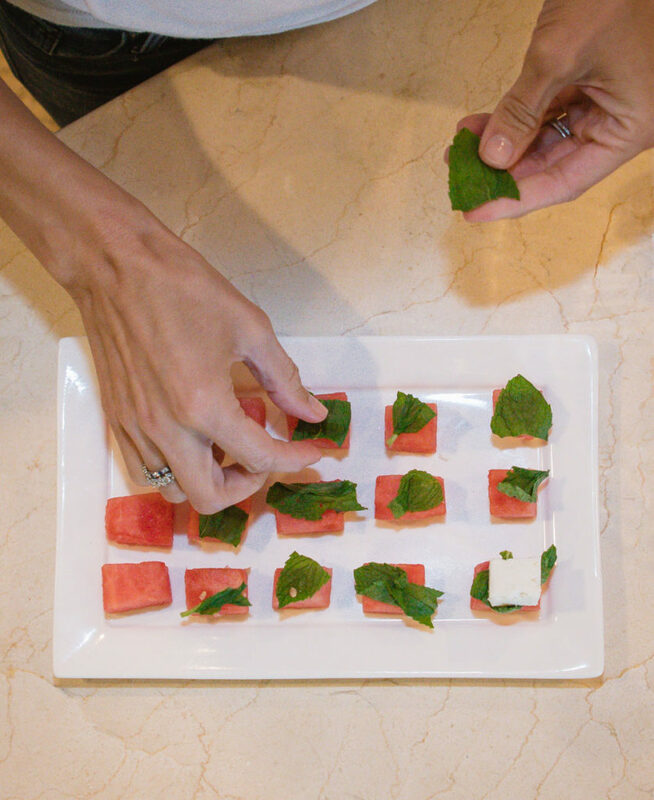 Stack a cube of watermelon, a folded mint leaf and a cube of Feta. 4. Skewer the stack with a small skewer or toothpick. 5. Arrange the skewers on a serving plate and drizzle with a balsamic glaze. I also found this recipe on Pinterest a while ago and had to try it when I was planning this brunch! 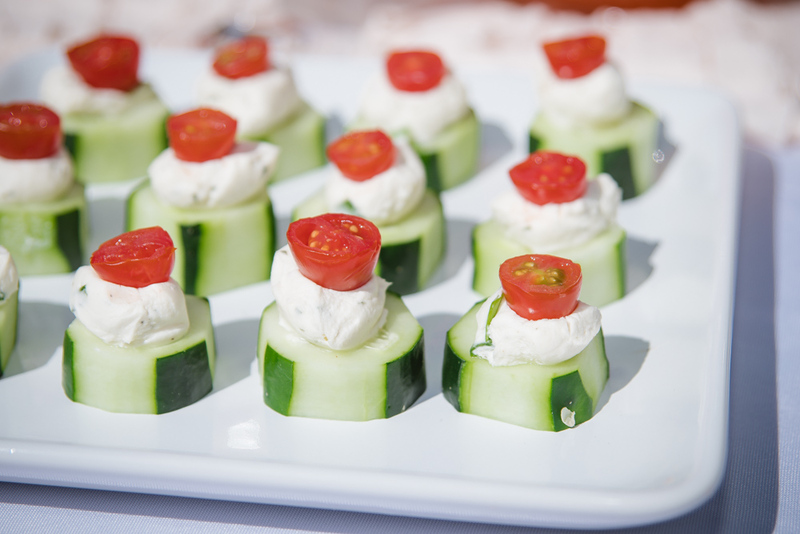 It would be perfect for a baby or bridal shower, a birthday dinner, luncheon – or really anytime you’re entertaining! Again, it’s so easy and people will think you spent so much time preparing it! For this recipe, I replaced the mayonnaise with plain Greek yogurt to keep it a little healthier – but it tastes great either way! 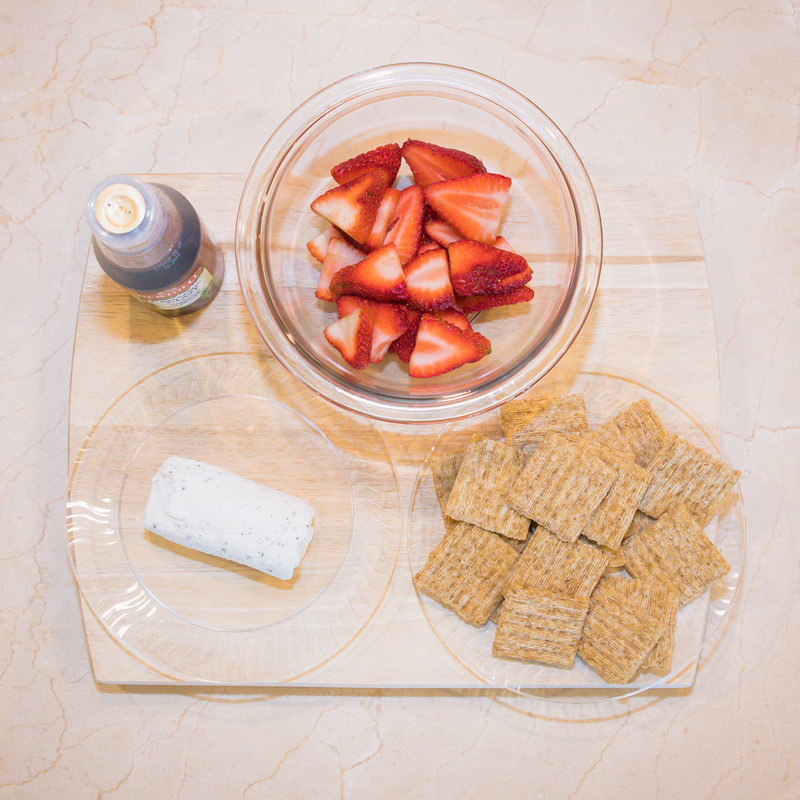 I would also suggest trying the whipped cream cheese – I used softened cream cheese but it was still a little tough to mix well and make look pretty! I didn’t have a pastry bag handy so a Ziplock bag worked just great! 1. Wash, peel and slice the cucumbers into 1 inch pieces. 2. Slice the tomatoes in half. 3. 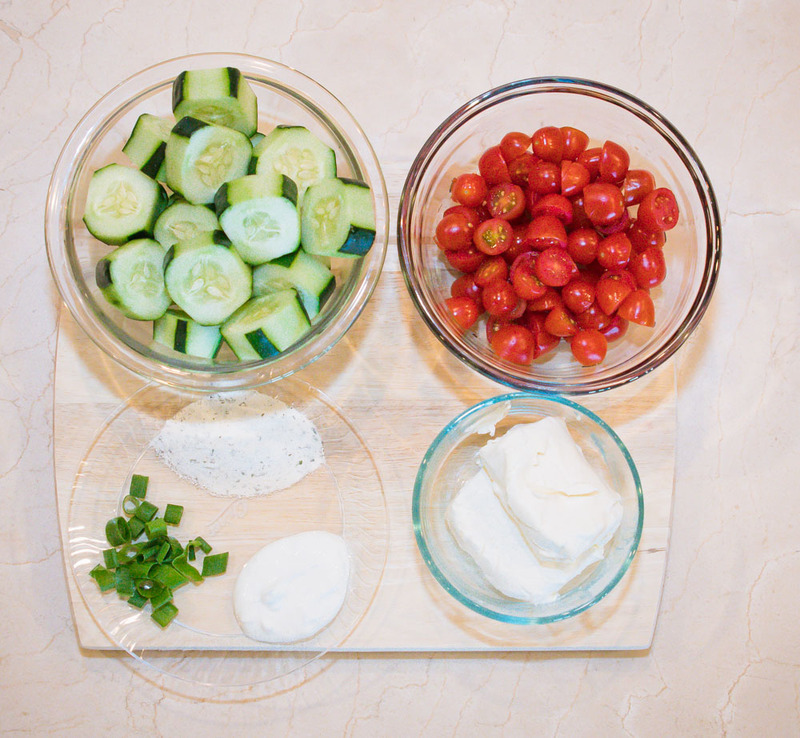 Mix together the cream cheese, mayo/yogurt, green onions and ranch seasoning. 4. Put the cream cheese mixture into a pastry bag (or Ziplock bag and cut a hole in the bottom corner). 5. Pipe filling onto each cucumber. 6. Place one tomato half on top of the mixture. 7. Refrigerate for about 30 minutes before serving. This recipe is so easy yet looks so fancy! 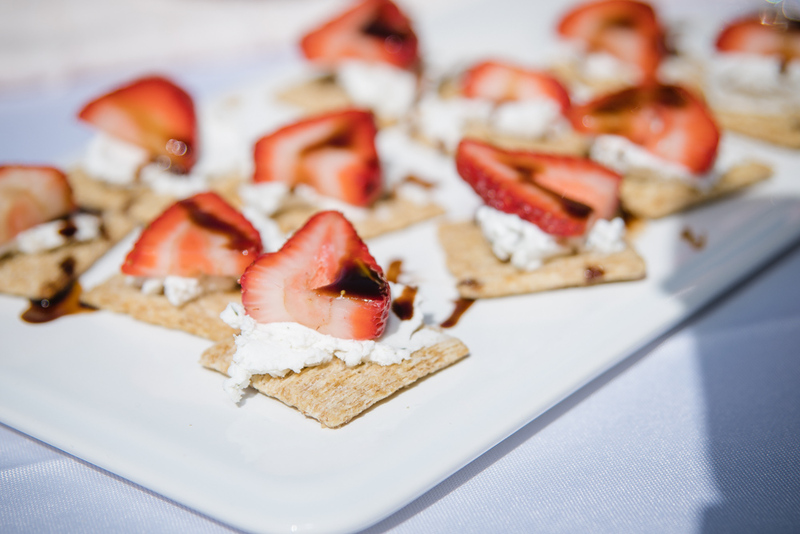 The bold taste of the goat cheese with the sweet strawberries is heaven – and perfect for any spring party! Again, for this recipe, I used the Bertolli Balsamic Glaze to speed up the prep and it was delish! 1. 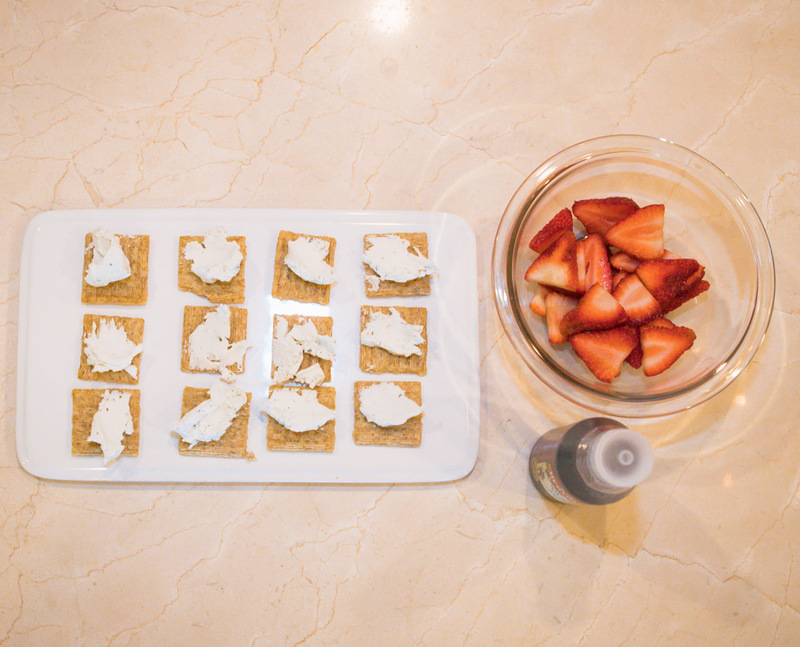 Spread goat cheese on the crackers. 2. Top with a sliced strawberry. 3. Drizzle with the balsamic glaze. 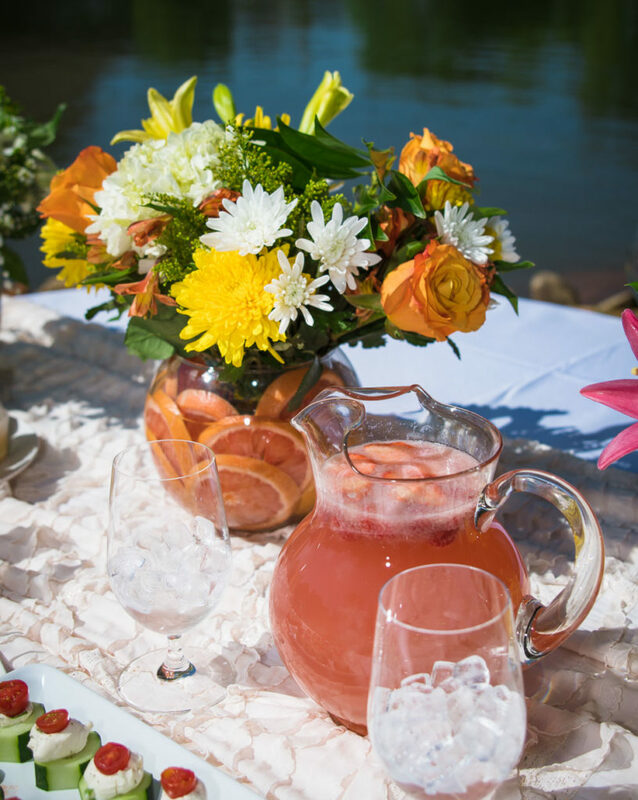 It seriously does not get any easier than this – and your guests will certainly call you the hostess with the mostess! 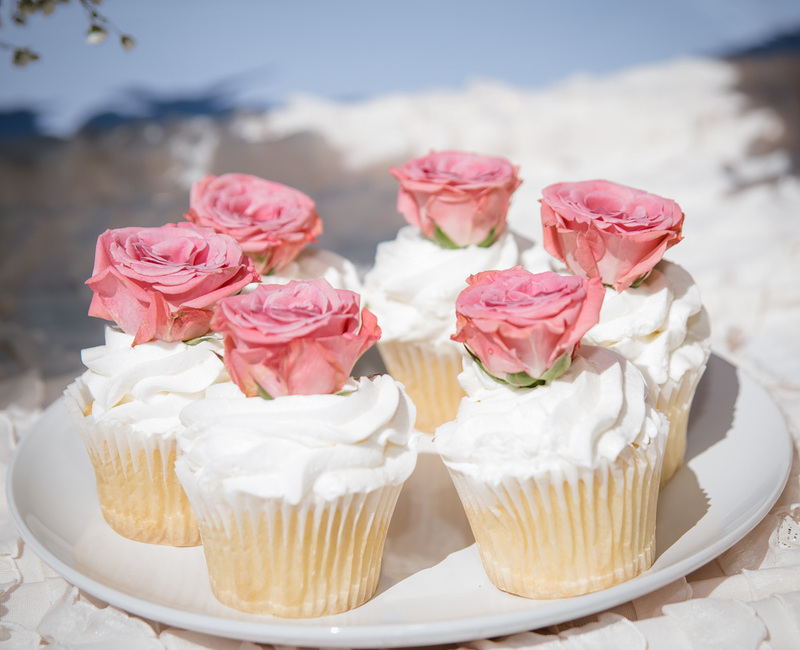 I literally bought cupcakes from the Publix bakery (I had to ask for a pack of all white cupcakes and frosting) and a small bouquet of miniature roses. 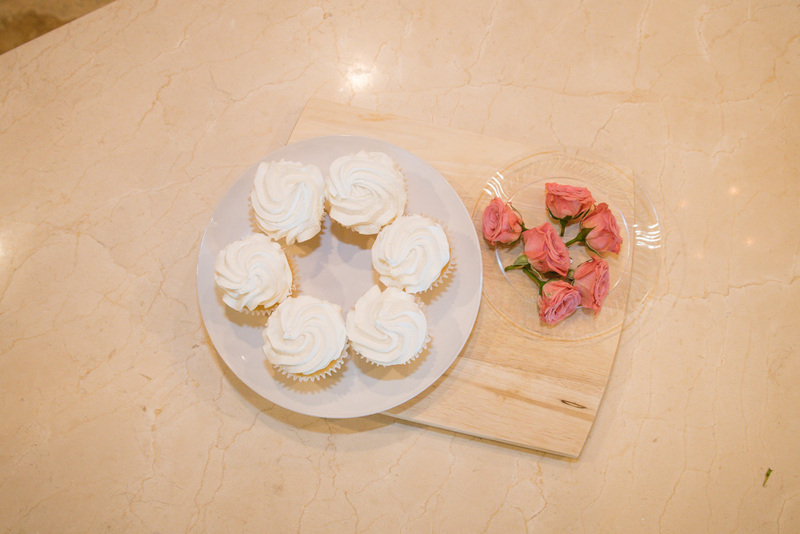 I just cut the tops of the roses off with about an inch or so of the stem left and poked them into the top of the cupcakes. Literally less than 5 minutes of prep and the finished product looks so professional! 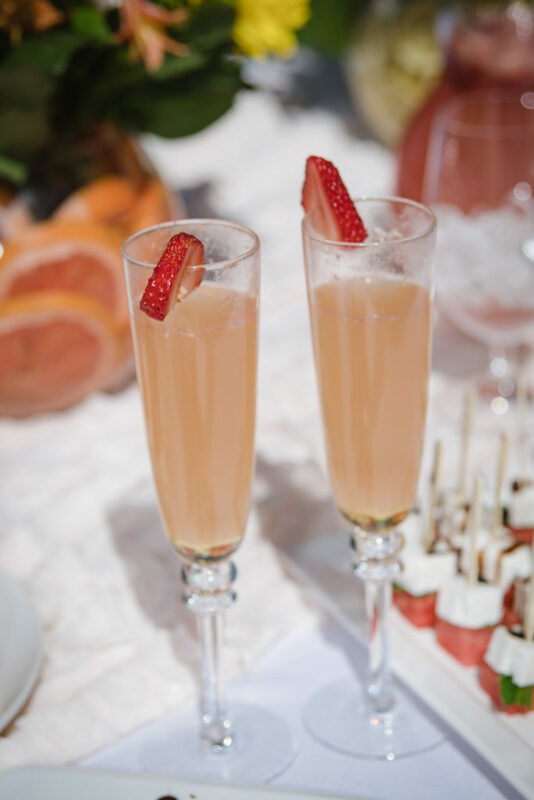 Nothing says brunch like a mimosa! 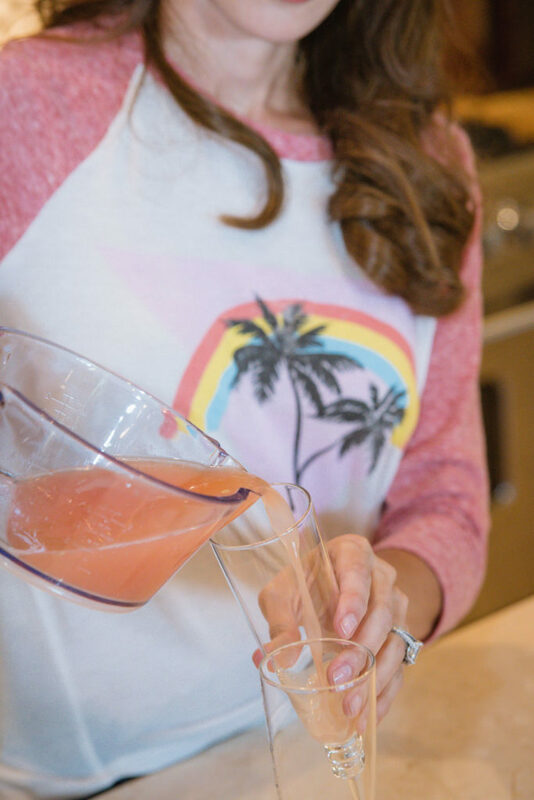 I like to take a traditional recipe and add a twist to it – so I wanted to try a grapefruit mimosa. I had grapefruits from the floral centerpieces (blog coming tomorrow!) 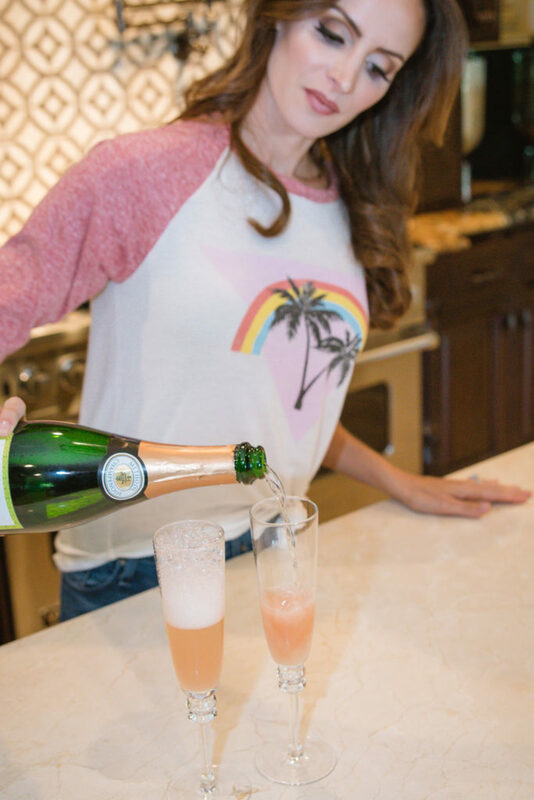 and I always have champagne at the house, so this was super easy! 2. 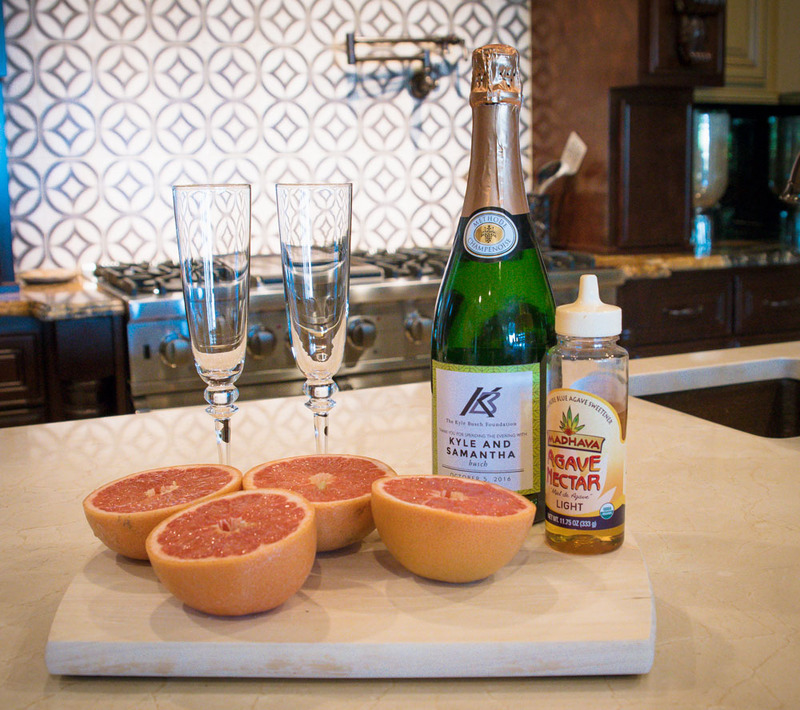 Fill a champagne glass 1/3 with the fresh grapefruit juice. 4. Pour a squeeze of agave nectar to sweeten the drink – adjust to your taste. 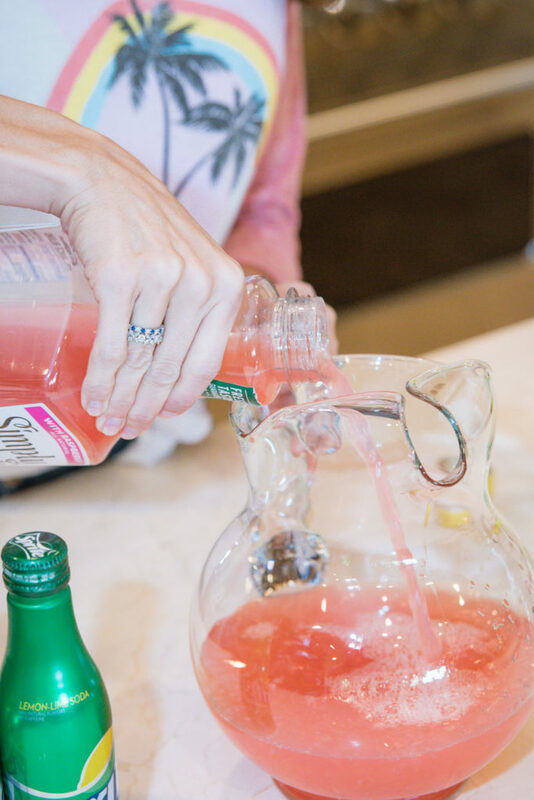 Sometimes mommy just needs a little Mommy Juice, and this wine punch hits the spot! My friend shared this recipe with me and it’s filed away for any time we get the girls together. 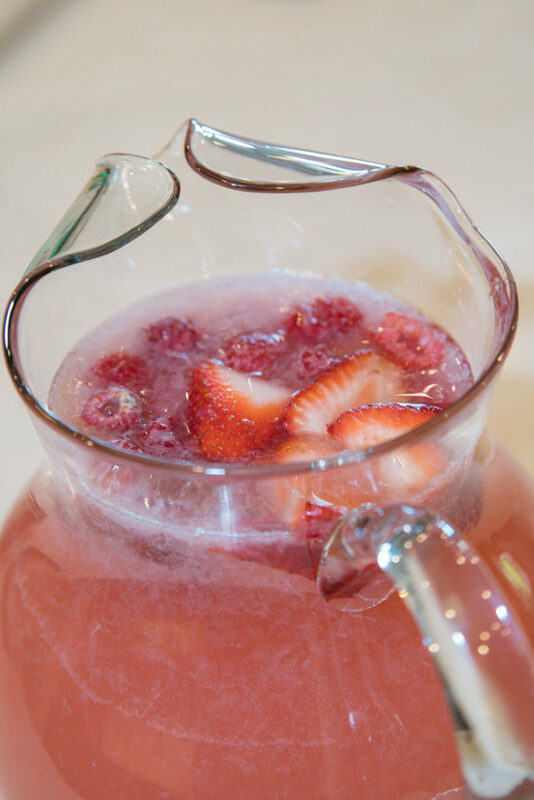 It’s so refreshing and EASY to make! I especially love it because you can make it by the glass or by the pitcher, and I’ve included instructions for both versions! 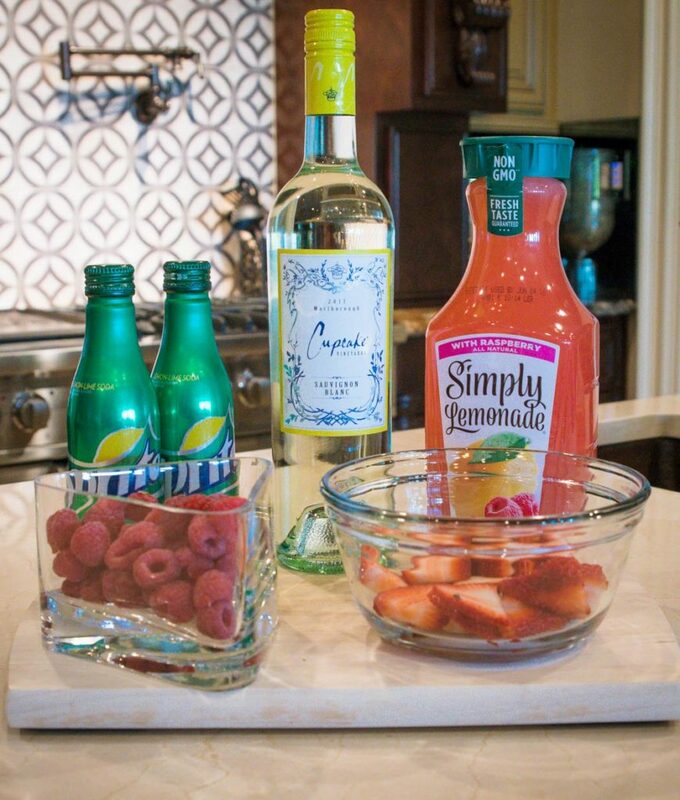 One thing to note, feel free to change up the amount of lemonade, wine and Sprite you mix in so it suits your taste. It can get a little sweet but you can cut that with more wine or Sprite! 1. 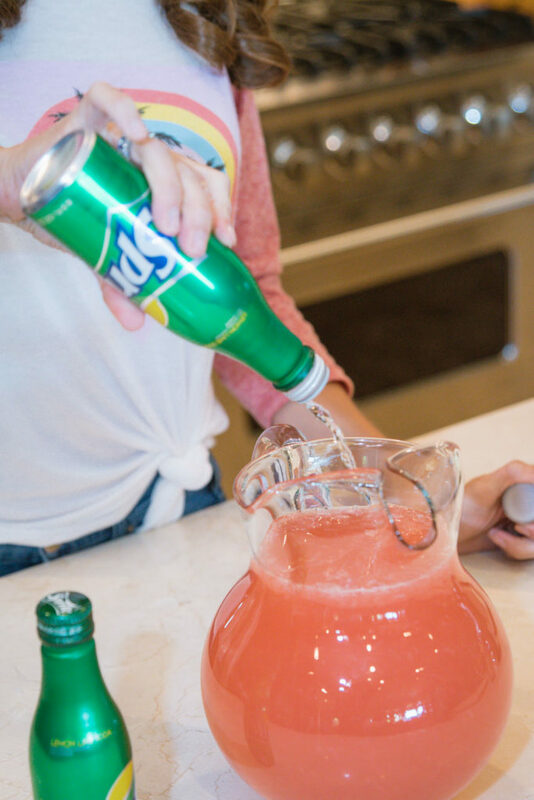 Mix 1 bottle wine, 1 container lemonade and a half liter of Sprite. 2. Top with fresh fruit for garnish. 3. Save some fruit to top off glasses. 4. Add ice and serve! 1. Fill the glass about 1/3 with wine, 1/3 lemonade, 1/3 Sprite. Adjust for your taste. 2. Top with fruit and ice. 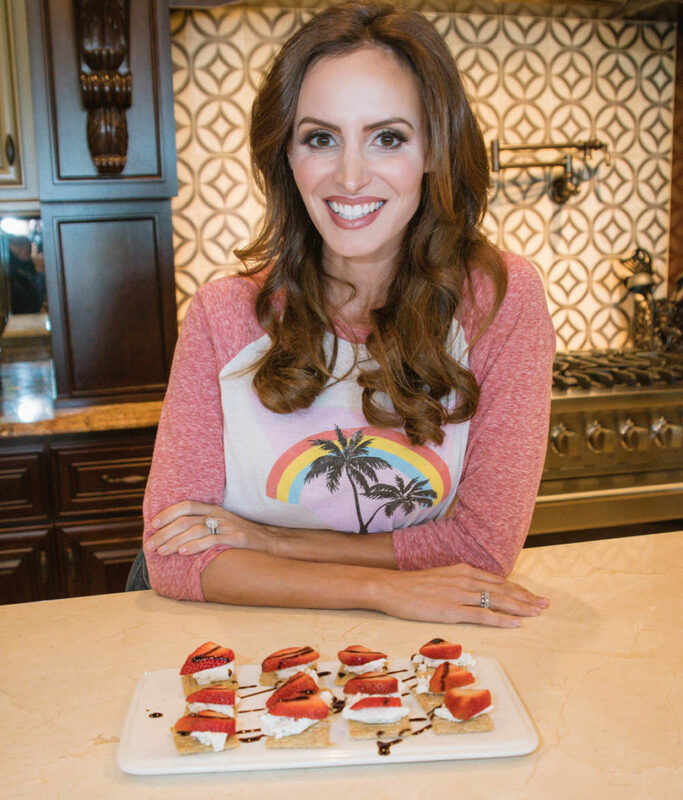 I hope you enjoyed these easy and fun recipes! 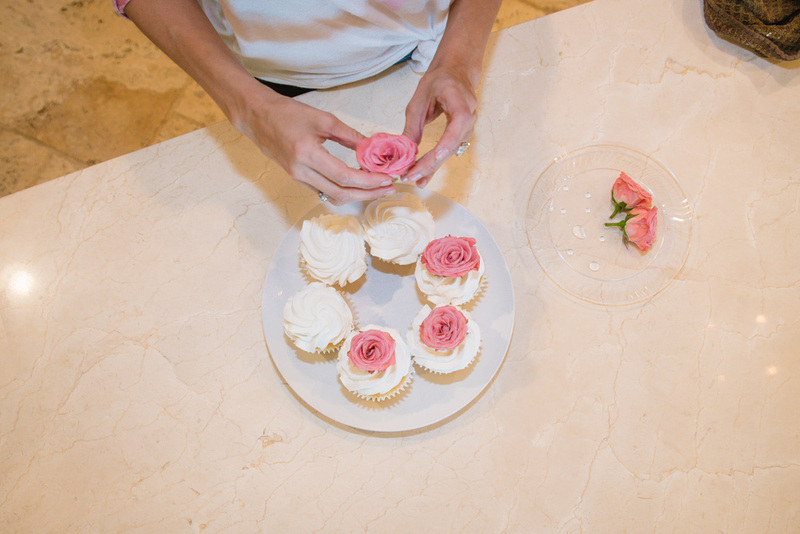 Stay tuned for tomorrow’s blog with easy and beautiful floral centerpieces!